So many Derbies, so little time. There are so many Derbies, in fact, that it looks like every bartender who wanted to promote himself at race time would come up with his own version. Instant ballyhoo. As a result, there is no agreement on how “the” Derby should be made, but recipes seem to fall in to two groups: the Manhattanesque bourbon style and the peachy gin style. I’ll leave the gin drinks for summer peach season (okay, there’s no summer peach season in Minnesota, but in the off chance that some good ones come in, we’ll do the writeup); here we’ll focus on the best of class for those good, wintry bourbon drinks. 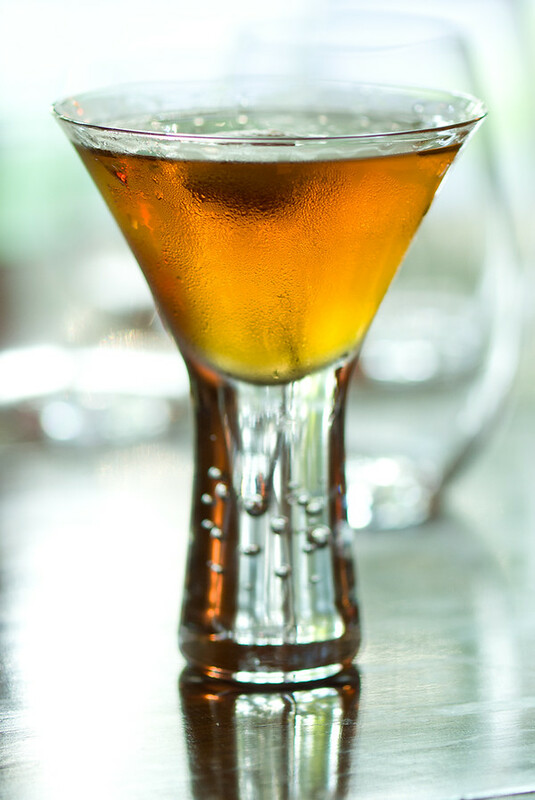 The spicy, sweet, herbal Bénédictine puts the flavor of this version somewhere between the sweetness of a bourbon Manhattan and the spiciness of a rye Manhattan. There is less sweetness and more of an assertive herbaceousness at the back of the tongue, providing an earthiness not normally present in a proper Manhattan. Stir with ice and strain into a chilled cocktail glass; garnish with lemon. I have found that the Bénédictine can easily overpower the bourbon. Hess’s 8:1 model is very good, and can be pushed to about 6:1 and still seem balanced. Given it’s provenance, it’s not surprising that this elegant sour seems to live halfway between Manhattan and Tikiland. Extra Link: Robert Hess mixes a bourbon and Bénédictine Derby (video) at Small Screen Network. “Derby Cocktail (Bourbon)” at cold-glass.com : All text and photos Copyright © 2010 Douglas M. Ford. All rights reserved. Could you please explain the difference between Robert Hess’s recipe for Derby cocktail and the recipe for the Monte Carlo cocktail given by Distinguished Spirits on Youtube? Depending on whether or not you want to go to the mat over bourbon and rye whiskies, I’d say they’re the same drink. Interesting observation, thanks.